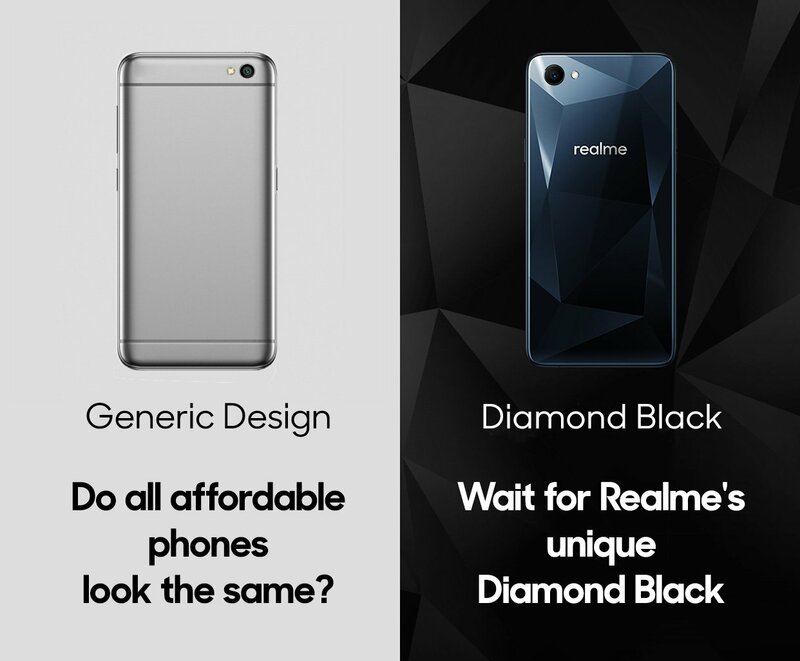 Oppo, one of the most popular smartphone companies from China, announced a new sub-brand ‘Realme’ at the beginning of May and the Realme 1 is launching on May 15 as the first smartphone under this sub-brand. It looks like the company is following Huawei’s footsteps as Huawei too, has Honor as its sub-brand which is, indeed, popular in India. Today, the unboxing and quick hands-on video of the phone was uploaded to YouTube (by iGyaan) & it revealed the design from every angle along with the major specifications. The video is taken down, but we got all the key details, thanks to the screenshots obtained from the video. According to some sources, the Realme 1 is just a rebranded Oppo A3 with some design & specs changes. The retail box comes in a Red, and White color combination and ‘Realme’ is printed on the front. Inside the box, there is User Manual, Quick Start Guide, a case for the phone, the phone itself, and other things like Charger Cable, Adapter etc. Talking about the phone, we already know how it looks like from the rear, thanks to the official page on Amazon. The phone has a unique pattern on the rear which is exactly similar to the Oppo F7’s Diamond Black back. There is a single rear camera placed on the top left with the LED flash. The back is clean, and it is pretty interesting to see no fingerprint scanner at all. The power button is present on the right side and above it is the SIM card tray. The volume rockers are on the left. Just like the recently launched Asus Zenfone Max Pro M1, the Realme 1 has a triple card slot which means you will be able to add two SIMs as well as a microSD card at the same time. It is pretty nice to see no hybrid SIM slot on the phone. The 3.5mm headphone hack, micro USB port, primary mic and the speaker grill are present on the bottom. 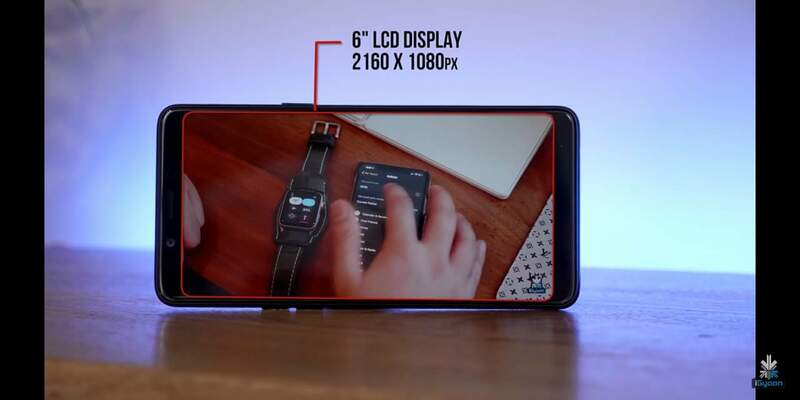 Coming to the specifications, the Realme 1 has a 6-inch LCD Display with a resolution of 2160x1080p, i.e., an 18:9 aspect ratio. It is powered by the 2.0GHz Octa-Core MediaTek MT6771 Helio P60 Processor which is based on the 12nm manufacturing process. This chipset has NeuroPilot AI processing for on-device intelligence (Edge AI). Talking about the storage, there is 6GB RAM and 128GB internal storage that can be expanded up to 256GB via external microSD card. There is a single 13MP rear camera which is a downgrade from Oppo A3’s 16MP rear camera. Similarly, the front camera on the Realme 1 is an 8MP unit, which is a downgrade from Oppo A3’s 25MP front camera. Except for this, other specifications remain the same as the Oppo A3’s. The phone has a 3,410mAh battery which means it can easily last for a full day on normal use, thanks to the power efficient processor. Android 8.1 Oreo runs out of the box with the Color OS 5.0 on top. 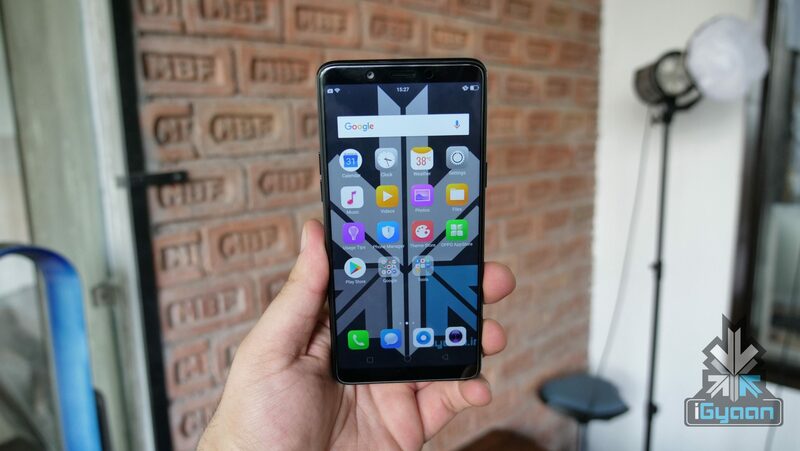 As mentioned in the beginning, the launch is set to happen on May 15, and Oppo is going to price the phone pretty low. We expect the price to be under $200. What are your expectations? Do let us know via the comments section.